Belgičané Saille zveřejnili nový videoklip k písničce „Aklo“ – sledovat jej můžete na YouTube. Skladba pochází z posledního alba „Eldritch“, jež vyšlo v listopadu 2014. Belgičané Saille mě se svojí minulou nahrávkou “Ritu”, která vyšla v lednu loňského roku, docela bavili. Je pravda, že s odstupem času si myslím, že byla známka 8 hodně přestřelená, a stejně tak je pravda, že po napsání recenze jsem si už album snad ani jednou nepustil, avšak i přesto mám tu desku v paměti zapsanou jako docela povedenou záležitost někde na pomezí symfonického a melodického black metalu. 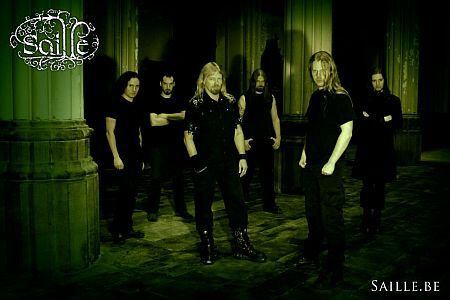 Tím pádem nebyl důvod se nějak vyhýbat dalšímu albu, které bylo pojmenováno “Eldritch” a které přichází pouhý rok a půl po svém předchůdci. Jistě se nabízí otázka, co se během toho roku a půl změnilo – jestli vůbec něco. Inu, v kapele došlo k výměnám na postech baskytaristy a bubeníka a zelenou skálu tentokrát na obálce vystřídal šedivý hybrid mezi hradem a zámkem… Aha, vy jste se asi ptali na muziku, co? Co se té týče, tak ta se vlastně nezměnila i změnila zároveň. Že vám to nějak nedává smysl? Nevadí, čtěte dále – hnedle si to totiž vysvětlíme. 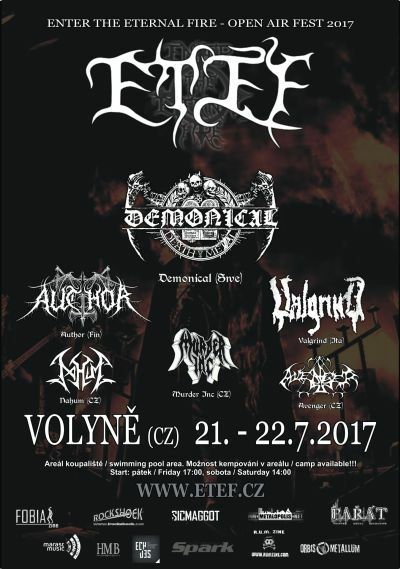 Ona nezměna na “Eldritch” se týká samotného stylu a hudebního výraziva. Pokud mi paměť ještě slouží, “Ritu” znělo přibližně podobě jako novinka, takže by se dalo se vcelku slušnou jistotou prohlásit, že “Eldritch” pokračuje tam, kde skončil jeho předchůdce. To není obecně vzato ani dobře, ani špatně – je to jen suché konstatování faktu. Je fakt, že jsem spíše zastáncem progresu, ale když na to přijde, nemám s tím problém – přece jenom, co si budeme povídat, po roce a půl asi nelze čekat nějaký extrémní pokrok a ne každá kapela je Igorrr, aby střídala styly častěji než ponožky. Hádám, že vás už nejspíš napadlo – kde je potom tedy ta změna? Ta změna je… no, ta se bohužel projevila v kvalitě materiálu, jaký Saille na “Eldritch” nabízejí. Již jsem řekl, že si “Ritu” pamatuji jako docela povedené album, jež dokázalo na chvíli se ctí slušně zabavit. Od “Eldritch” jsem sice neočekával nějaké opusální veledílo, které by snad dokázalo vyzvat na souboj mé letošní favority jako Darkspace, Lux Occulta nebo Triptykon, doufal jsem ovšem v opětovně solidní nahrávku – což se ovšem ne úplně povedlo. Netvrdím, že je “Eldritch” debilita, protože tak špatné to určitě není. Buďme féroví – házet novinku Belgičanů do podprůměru by bylo docela přehnané, jelikož nějaká úroveň – přinejmenším ta řemeslná – tam určitě je. Pár povedenějších momentů se taktéž najde. Problém však tkví v tom, že těchto výraznějších momentů je na nahrávce poměrně málo a i to málo je brutálně rozmělněno 56 minutami hrací doby. Drtivou většinu stopáže tvoří nepříliš záživné kytarové hoblování, které sice není skrz naskrz na draka, ale – a z nemalé části i díky plochému zvuku – působí značně amorfním dojmem, díky čemuž tahle většina stopáže dosti splývá. Kamenem úrazu, který jde ruku v ruce s tím, co bylo právě zmíněno, je i to, že se Saille nebojí relativně delších skladeb. Já mám dlouhé písně skutečně rád (i když tohle ještě není žádný extrém, to je pravda), ale jsou případy, kdy je 6+ minut poměrně přehnaných. A naneštěstí je jedním z těchto případů i “Eldritch”. Když si vezmu třeba takovou “The Great God Pan”, jež se bez větších obtíží přehoupla přes sedm a půl minuty, tak jediné, co si z ní pamatuji, je pěkná melodie v úplném závěru… což jaksi znamená cca 20 sekund ze 457 sekund. A to dle mého skromného názoru není zrovna příznivý poměr. Pokud by se třeba jednalo o ojedinělý případ, šlo by přimhouřit oko, jenže když každá písnička na desce vypadá tak, že obsahuje pár povedených vteřinek v několika dalších minutách nevýraznosti, tak je to prostě špatně. Hello to Belgium. Your new album “Ritu” is out just a few days, but new reviews keep appearing for a longer time. From those which I have seen it seems like there are only excellent ratings. How do you in the band like the feedback you have received so far? Are you satisfied with how metal journalists and listeners rate the album? Reinier: Of course we are, since all of them are very positive indeed, it makes us proud and it’s an implication our hard work paid off. It is great when you create something, other people enjoy it as well and react in a positive manner. The very first thing that drew my attention was quite interesting artwork of “Ritu” which was made by Michał Karcz. As far as I know he also created the cover for your debut album “Irreversible Decay” two years ago. Why did you decide to ask him again? Reinier: We thought he did a really good job for the first album and contacted him again. “Ritu” is a different album, but we liked the idea of having simular artwork for both albums. It worked out great the first time and ‘never change a winning team’ is the idea behind it. Another thing concerning the artwork – there is a symbol carved both in the rock which appears on the cover and on the front of ritual box edition. We have to confess that we couldn’t find the meaning of this symbol, so we have to ask – what does this symbol stand for? Reinier: Saille is the Irish name of the fourth letter of the Ogham alphabet, meaning “willow”. 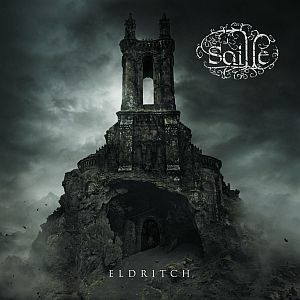 This is what you see in the logo, it’s the letter “Saille” we use. All letters in this Ogham alphabet were depicted as a type tree, and were not written, but carved in trees and stones. I mentioned lyrics in one of the previous questions and I’d like to continue with more detailed talking about them, if you don’t mind of course. Let’s start with the first song called “Blood Libel”. If I quote Wikipedia, it says “blood libel” is “a false accusation or claim that religious minorities, usually Jews, murder children to use their blood in certain aspects of their religious rituals and holidays”. It seems to me that this interpretation fits the actual lyrics of the song pretty well, am I right? I see the song as a story of someone whose child got lost and then was found dead, and he believes it is the fault of local religious minority so he decides to vengeance his son. From what I found I think that the song is based on a true event of so called Norwich blood libel (as it is also mentioned in the lyrics) which happened in 1144, is that right?. Why did you decide to make a song about this topic? Reinier: Well, you have to do some research when you write lyrics and every now and then we find interesting stories to tell. That’s what happened when we were looking for subjects. Dennie gathered a lot of those stories for the album. It is, like you said, a true story. Still speaking about blood libel – these accusations were one of the main reasons of persecuting Jews in medieval Europe. I think that Europe is facing similar situation nowadays – in terms of cross-cultural misunderstandings. Especially Western Europe, where also your country lies, experiences a high level of imigration especially from Africa and Arabic countries. What is your opinion on such an issue? Are you a fan of multicultural society in Europe? From my point of view, this idea sounds basically nice, but almost seems like an utopia practically because people from absolutely different cultural backgrounds will always struggle with each other because of their customs… What do you think? 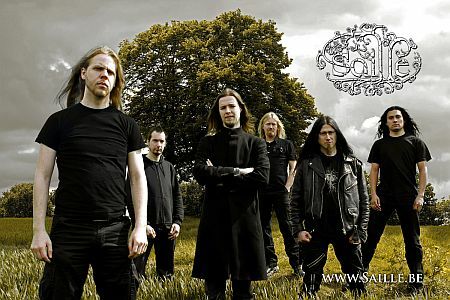 Reinier: Saille doesn’t do politics, we are no political band. It’s just a story from almost 1,000 years ago and we had no intention whatsoever to link this to anything going on in the present. In our point of view everyone is equal and we respect everyone. 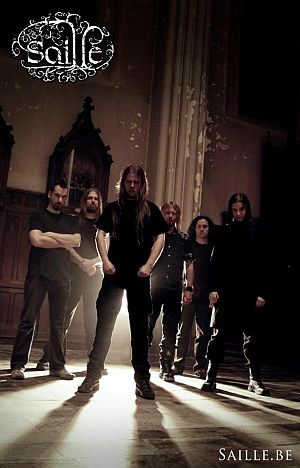 Jonathan: “Blood Libel” was chosen because it had the most theatrical properties in the lyrics, it was perfect to use this story in a videoclip. We have footage filmed on different locations, both inside and outside, with lots of peeps. The video certainly reflects the lyrics, we used some extra actors to play the story that is told in the lyric. The images of the story will be mixed with images of the band playing the song. I think it will be very nice, we also used the altar platform church also as a stage which looks very cool, we all look forward to it as well. 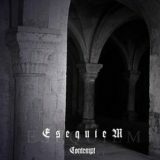 “Subcutaneous Terror” track is – of course among other things – intreresting by german language used for some parts of the lyrics. Was the german used just for the sake of interestingness or is there some particular reason for it’s use? Speaking about the actual meaning of the text, I understand the lyrics – simply said – as a depiction of a possession by “an infernal force”. Is this interpretation right? Dennie: The back-story of “Subcutaneous Terror” is that of Anneliese Michel, a German girl that was supposedly possessed by several demons back in the seventies. Transcriptions were made of the things these demons said through her and I felt obliged to use them in their original language, since translating them into English would ruin the atmosphere. I got the idea of using this story after searching for the facts behind the “The Exorcism of Emily Rose”-movie. Even though I believe the probability of demonic possession to be near nihil, I still get the creeps when I think of what happened to her. Dennie: In India it’s an old tradition that can be traced back to the Gods, where Sati (aka Dakshayani) immolated herself because her father disrespected her husband Shiva, hoping she would be reborn to a father that would have the respect she wished for. This evolved into the custom you mentioned. It has been subjected to bans for countless times, but hasn’t fully disappeared yet. Dries [Gaerdelen, keyboards] had a song with a musical theme that fitted perfectly with the topic, so it came very naturally. It’s like “Blood Libel”, another interesting story to tell, it fits in the entire concept of the album and in each track we depict another ritual offering in a different culture, whether it’s in England, India or another part of the world. On the other hand, “Runaljod” and “Ritual Descent” refers to nordic and mayan mythology respectively. It seems like the topics of the lyrics are very diverse. Is there any key how were you deciding what to write about? Aren’t you afraid that so different subjects could lead to, let’say, inconsistency of the album? Dennie: First of all, it would be a shame to write lyrics about rituals worldwide and ignore one of our own greatest stories, especially since Norse-Germanic mythology is one of my main interests. “Runaljod” is the retelling of a specific part of Hávamál, the poem where Odin suffers great self-inflicted torment to gain the wisdom of the runes. The topic has been used by hundreds of bands, but great stories are meant to be told. It also has some references to other verses, like Völuspá and I incorporated several so-called Kennings, a type of literary trope used in Old Norse poetry. There is of course also another one big subject in the lyrics beside mythologies – Lovecraft’s mythos. Don’t get me wrong – we also love Lovecraft’s books – but it almost seems like there are not much metal bands which don’t have lyrics abouth Cthulhu and stuff. Why did you decided that the world needs more songs about the Great Old Ones (laughs)? Dennie: The lyrics of “Ritu” deal about certain rituals, mostly rites that are connected to or lead to a certain death. We cover several cultures, from Mayan and Indian sacrificial rites to local folklore and a German exorcism ritual gone bad. And while I do tend to act rather autistic about the correctness of lyrics I also use fiction, we only have 2 songs that are based upon the writings of H.P. Lovecraft. Reinier: We wanted to do something really original like lyrics about Satan, blood, slaughtery and why not, love, but hey…. I would like to ask the last question about a song – “A Titan’s Sacrifice”. This track is purely instrumental so we – obviously – can’t read the lyrics and therefore don’t know anything. Could you please tell us who is the titan and what is his sacrifice? Reinier: We were in need of a moment of rest, to take a breath in the midst of the album. Naturally, it had to be as dark as the rest of the tracks, but it surely is different. I don’t know who the Titan is, but the thing needed a title and there it was. Well, let’s sum it up… on “Ritu”, you draw inspiration not only from history, christian motives and real mythologies (nordic, mayan, hindu) but also from H.P. Lovecraft’s fictional universe. Are the tracks just a more or less random bunch of particular inspirations or is there some thread that bounds them together in some way? In other words, would you say that “Ritu” is a some kind of a conceptual album from your point of view? Reinier: Yes it is conceptual, the red line throughout the entire album is ‘different ways of dying during rituals of different cultures from all over the world’. Each song has its own atmosphere, there has been a lot of thinking going on before we started recording. I already mentioned ritual box edition in the beginning. It’s quite interesting that this edition was sold out in only 13 minutes as your label says. Did you expect that it could be so quick? The box seems to be a very luxurious thing… how did you decide about its content? It is also said that the box is a handmade work – who made it? Dennie: This edition includes the digipack of “Ritu” and the first CD “Irreversible Decay” (both wrapped in parchment and wax sealed), an evoking scroll, 3 tarot cards and 3 parchments with Lovecraftian artwork. We had to disappoint quite some fans, since it was sold out in no time. Jonathan: We certainly didn’t expect that it would sell out so fast, it’s the first time we did such special edition so we didn’t know what the result would be. It was a shock to see it disappear in just a few minutes. The decision what would be in it was based on the Ctulhu lyrics, it contains drawings and rites concerning the subject. It’s all handwork indeed, the box itself is also handcrafted, the drawings, rites, sticks. I don’t know who made it, it was arranged by the label. The box is limited to 15 copies. Why such a so small number? Does it mean that only 15 copies exist or that 15 copies went for sale? If the first option was the right one, it would mean that even the band members don’t have these boxes, wouldn’t it? Do you know which countries these rarities ended up in? Jonathan: It means only 15 copies exist, it was a lot of work to make them because like already said, everything is handcrafted and done 15 times. Let me make clear it was not our decision, my guess is no one expected it to be sold this fast. It’s a valuable and rare box, so if someone still wants this unique item, he will only be able to get it 2nd hand. We don’t know where they end up, sorry. 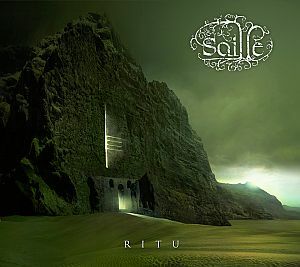 Well, we’re getting closer to the end so let’s change subject a little bit… I guess there will be some touring to support “Ritu” – is there any posibility to see Saille also in the Czech Republic? As far as I can remember, you haven’t played in our country yet, is that right? Jonathan: We do as much gigs we can now. We had a mini-tour with Negura Bunget and did quite a lot of gig in Belgium and The Netherlands. We are heading for the UK and Germany later this year, so we’re getting closer. We didn’t play in your country yet since we haven’t been asked so far, we will certainly take the offer if we get it. And the final one… Few months ago we made an interview with one Czech band whose music is completely Lovecraft-oriented, we asked their representative one nice question and I would like to ask you the same one – if you had to choose one Lovecraft’s story you would like to be in, which one would you pick up? And we don’t take “none” as an answer (laughs). Anyway, thank you very much for your time and your answers, we hope to see you performing in the name of Cthulhu in our country soon! Dennie: Personally I would pick the entire Dream Cycle, but if it had to be just one story I’d go for “The Dream-Quest of Unknown Kadath”. Even though the protagonist, Randolph Carter, faces great dangers in this story, he also witnesses beautiful things that can only be perceived in dreams and states of mind so unreachable that it would be worth every moment of terror and every situation of peril. That and the fact that he survives and doesn’t go insane. Belgičané Saille mi byli až donedávna v podstatě neznámí, registrovat jsem je začal, až když se postupně začaly objevovat informace o jejich aktuální druhé desce “Ritu”, která oficiálně vyjde 18. ledna. Vzhledem k tomu, že mě jejich muzika relativně zaujala a přišlo mi, že by mohlo jít o dobrou záležitost, nepohrdl jsem ani poslechem, který mi dal v konečném důsledku – klidně to můžeme prozradit už nyní – za pravdu. 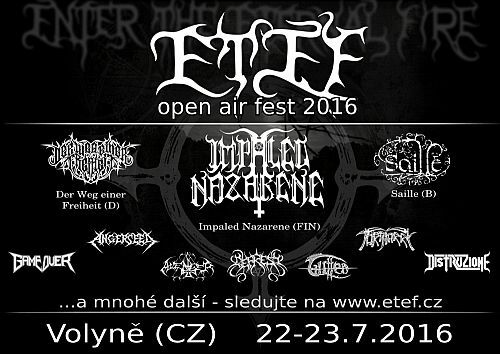 Saille produkují dosti nápaditý black metal melodičtějšího rázu, v němž určitě není nouze o nápady. Rozhodně tedy nemusíte očekávat nějakou minimalistickou záležitost, na druhou stranu se však ani nedá tvrdit, že by “Ritu” mělo být nějakou bombastickou nahrávkou. Saille se spíš drží někde tak na půl cesty mezi oběma těmito body, vcelku sympaticky se nepouštějí do nějakých nabubřelých a kýčovitých kudrlinek, jak to spousta skupin, která má na štítu melodický nebo chcete-li symfonický black metal, má nezřídka ve zvyku, a drží se relativně při zemi. Mnohdy se sice trochu epičtější momenty najdou, nicméně ve všech případech to působí jako příjemné zpestření desky a má to hlavu a patu. Obecně má muzika Saille spíše hymnický charakter (zářným příkladem by mohla být třeba výtečná “Fhtagn”), ale kapela se rozhodně nebojí ani od podlahy zahoblovat. Hodně se mi líbí, že melodie se sice prolínají deskou v podstatě celé její délce, ale v žádném případě se nejedná o nějaké otravné a spíše na efekt hrané šmidlání, nýbrž o opravdu dobré melodie. Přestože první dvě písně “Blood Libel” a “Subcutaneous Terror” působí jako celek malinko agresivněji, ani v jejich případě rozhodně nejde o nějaké bezhlavé sypání a objevuje se v nich nejeden zajímavý nápad. První zmiňovaná se po hymnickém začátku zvrhne právě do rychlejší pasáže, ale klávesy, které jsou zastrčené hodně v pozadí, stále budí dojem jakési majestátnosti. Po klidnějším intermezzu v polovině se pak “Blood Libel” láme do zajímavější a proměnlivější druhé půle, jež nabízí dost povedených riffů. Ostatně to je jedním z hlavních plusů celého “Ritu” – zatímco u mnoha melodicky black metalových kapel hrají kytary velké nic a slouží jen jako podklad klávesám a zpěvu, v případě Saille tomu tak rozhodně není. “Subcutaneous Terror” se pak blýskne povedenými hororovými vsuvkami a rovněž několika výbornými kytarovými melodiemi, které nijak extrémně nevystupují nad povrch, díky čemuž si jich člověk kolikrát všimne až po větším počtu poslechů, ale sám za sebe něco takového rozhodně nemohu považovat za negativum, spíš naopak má to ten efekt, který mám osobně dost rád – ono okřídlené “stále je co objevovat”. Mezi nejzajímavější kusy “Ritu” jistě patří již zmiňovaná okultní “Fhtagn”, která je jednou z těch písní, jež nezapřou inspiraci Lovecraftovými mýty, v textu lítá jeden Cthulhu za druhým, nicméně i hudebně se jedná o výbornou věc. Skladba poprvé prezentuje Saille čistě ve valivém středním tempu, vrcholícím především mohutném skandování “Ia! Ia!”. “Upon the Idol of Crona” je opět rychlejší věc, avšak opět platí, že díky povedeným melodiím se člověk rozhodně nudit nebude. Zejména majestátní druhá půle, která graduje do sice krátkého, ale skvělého sóla, je vážně dobrá. Přijde mi, že je to takový znak většiny skladeb, že v průběhu své stopáže postupně narůstají a gradují, zároveň se mi ale zdá, že tak působí i celé “Ritu”. Čím více se totiž blíží ke svému konci, tím větší sílu nabírá. Přesně v polovině se nachází mysteriózní “Sati”, kterou bych se možná nebál označit za absolutní vrchol alba, obzvláště díky hodně netradičním, ale vážně úžasným melodiím až s orientálním nádechem. Opravdovým předělem, který “Ritu” rozděluje na dvě části, je však až instrumentální intermezzo “A Titan’s Sacrifice”, připravující půdu pro další výtečný song “Haunter of the Dark”, jenž sice považuji za další vrchol “Ritu”, nicméně vzhledem k faktu, že si jej můžete poslechnout v přiloženém videu, se nebudu dále rozepisovat. Aby se článek přece jenom nezvrhnul v suchopárný popis každé písničky, zmíním už jen to, že v případě posledních dvou kusů “Runaljod” a “Ritual Descent” se poprvé objeví čistý vokál a že druhá jmenovaná dává přímo ukázkový příklad, jak má vypadat pořádná gradace.